We spilled out onto the sidewalk at the Metro station in Springfield, Va., after an overnight ride of fitful sleep on a chartered bus from Asheville, N.C., all of us either closely or loosely affiliated with the Western North Carolina Group of the Sierra Club. 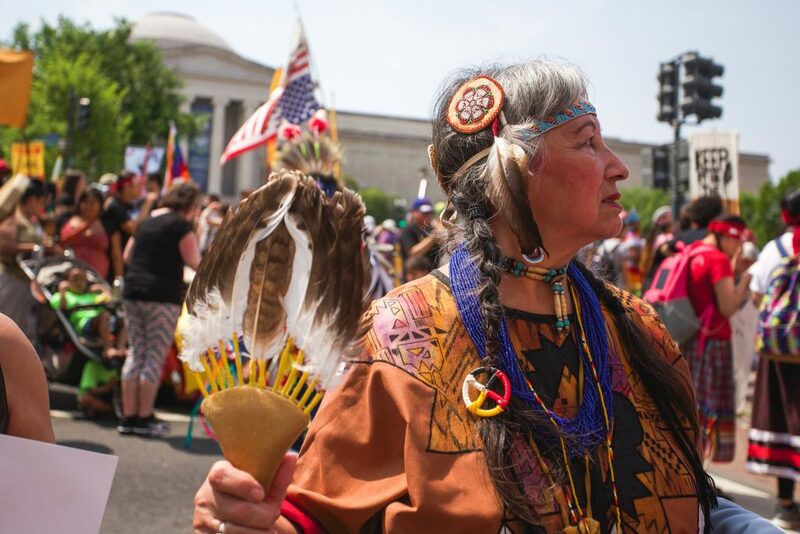 By the time we arrived at L’Enfant Plaza in Washington, D.C., the people of the People’s Climate March were gathering, moving about casually under cloudy, humid skies and pleasant temperatures. We had been given instructions as to where we should line up for the march up Pennsylvania Avenue, but first we ambled along 7th Street in search of breakfast. My teenage daughter and I partnered with a colleague of mine and her young daughter, who were also on the bus from Asheville. We grabbed breakfast a few blocks up the street, wandered back out to the main lineup area, and it was already clear that this would, indeed, be a big crowd. 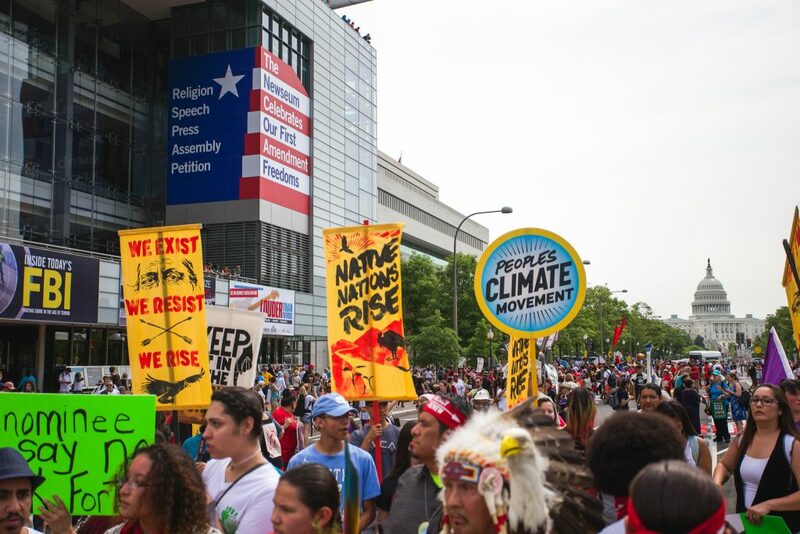 By the official march beginning time of 12:30 p.m., over 200,000 people had gathered in unity around a single issue—climate change. As single-minded as the theme was, people came from far and wide with different angles, desires, and concerns. There were marchers for land and indigenous people’s rights, those for renewable energy, people representing religious groups. There were waterkeepers and general environmentalists. We were young and old, white, brown, and black, of all socioeconomic levels, speaking different languages. It was clear that many people simply wanted to resist every action by the Trump Administration. 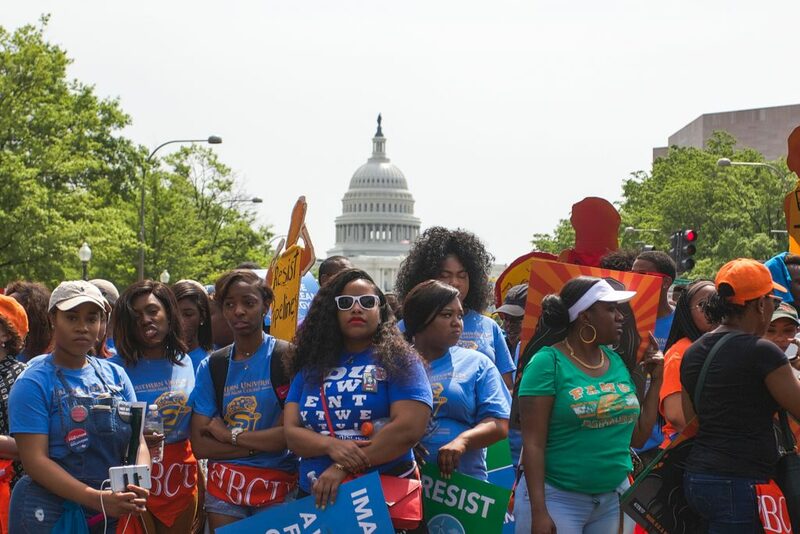 Many were echoing the sentiments of marchers from last weekend’s March for Science—that this Administration’s attack on science is unprecedented and dangerous. This was my first major march, and the first one I have attended in Washington, D.C. I knew that I had to attend this one as soon as I heard about it a few months ago. 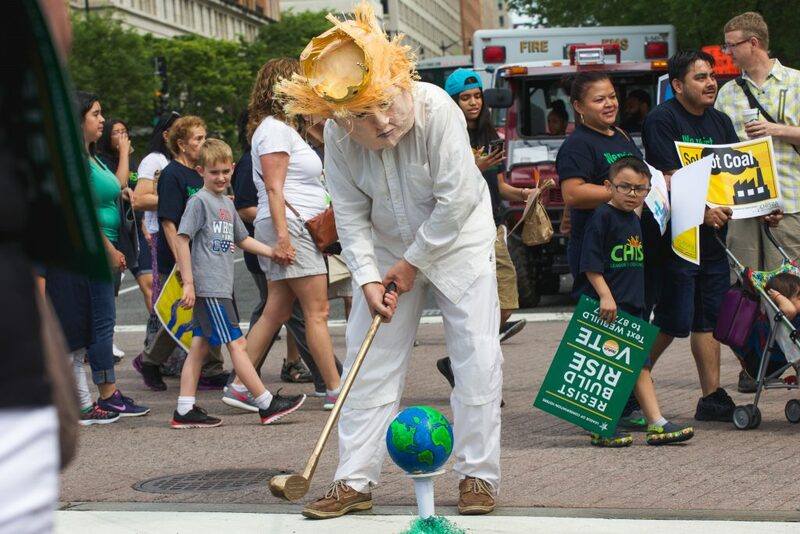 Of course I was going to gather with others concerned—even somewhat panicked—about climate change, especially given the early signs from President Trump that he is going to act in exactly the opposite manner climate change realists would like. From opening public lands to more fossil fuels extraction to executive orders aimed at killing the Clean Power Plan, President Trump is acting as a climate change denier, even if, at some level, he acknowledges what scientists have told us for decades about the effects of rapidly increasing greenhouse gas levels in the atmosphere. But here’s the thing about climate change: It is so darn big and daunting that ordinary citizens often cannot grasp what to do and how to do it. 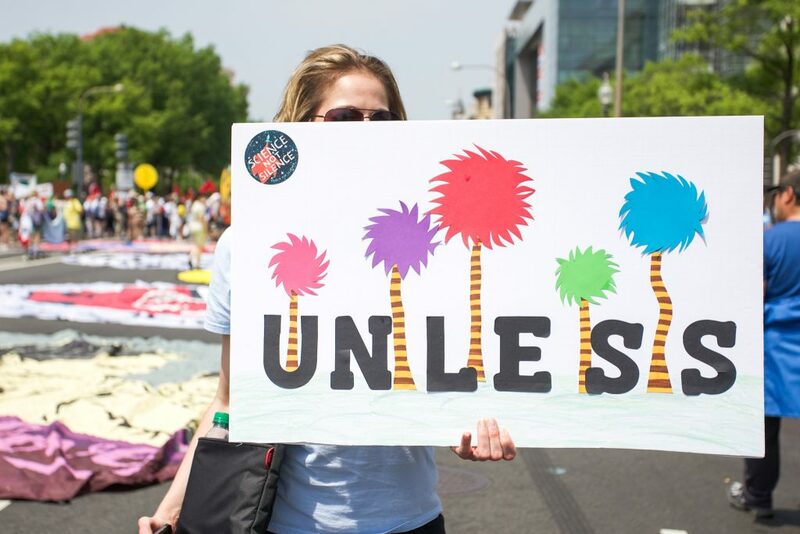 Even at the People’s Climate March I detected very few solutions offered, which is a large part of the problem. Studies have shown for years that the majority of Americans acknowledge that humans are causing climate change through our various activities which release greenhouse gases (electricity generation, industrial processing, transportation, and agriculture are the biggest categories), and that we want our government to offer solutions, but so far we have not created the political will to encourage our government to act in the best interest of all humans and all living organisms. There’s also the question of what, exactly, do we do to address climate change—Regulate fossil fuels? Subsidize renewable energy systems? Focus on energy efficiency? Place a fee on carbon? Start simply by talking about climate change with your friends more often. Studies have shown that a small percentage of us talk even casually about the issue on a regular basis. 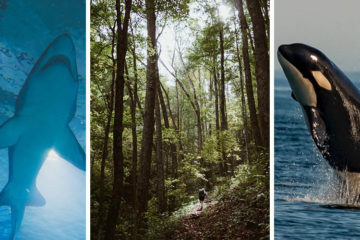 Stay informed by reading articles on energy and the environment through our respected national media outlets such as The New York Times and The Washington Post, who are doing a great job with regular articles on climate change and energy policy and trends. Call or write your three members of Congress and tell them that you want them to join others in Congress to create solutions to combat climate change. Many cities are enacting plans to move towards 100% renewable energy. Find out more at Sierra Club’s Ready for 100 Campaign website. 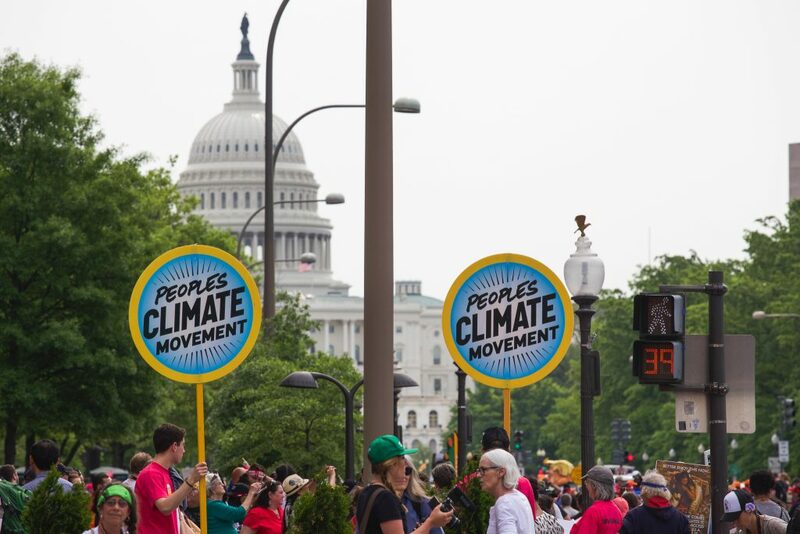 Join one of the national/global movements, such as Citizens’ Climate Lobby, Sierra Club, or 350.org. I arrived back in Asheville at 5:30 a.m. Sunday, after another night of bus-sleeping, but re-energized and doubly committed to act, for the sake of current and future generations of living beings. 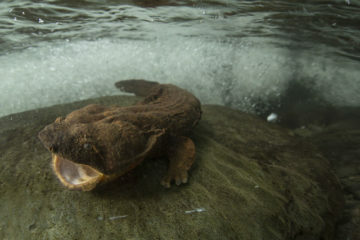 Climate change threatens the existence of species, the existence of coastal cities, the existence of populated islands. It threatens farmers across the globe, with drought and several storms. It threatens the most vulnerable among us most acutely. As I heard a young man from Texas Tech say on an episode of Years of Living Dangerously, “By doing nothing, we are condemning others.” I can no longer do nothing. What do you say? Will you join hundreds of thousands of people across the globe to act for the sake of others?